This kit includes everything needed to service all three fluids on your Harley-Davidson Twin Cam motorcycle. Drain plug o-rings for all three drain plugs, and the derby cover gasket. 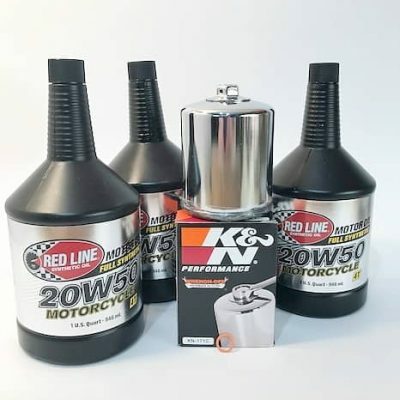 The RedLine Harley Davidson Total Oil Change Kit puts everything you need to change all the fluids on your Harley Davidson TwinCam Touring bike into one box, delivered right to your door! 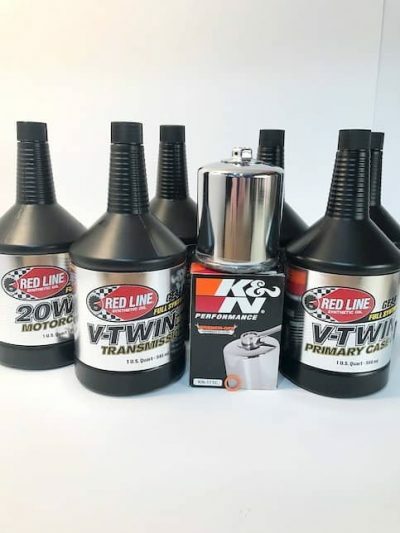 RedLine Motorcycle Oils are designed to provide the highest degree of protection and cleanliness for your motorcycle engine. Red Line uses the most stable synthetic components available to provide wear protection across a wide range of engine operating conditions. Red Line lubricants are unique because they contain PE Polyol Ester base stocks, the only lubricants which can withstand the tremendous heat of modern jet engines. The key advantage of this oil is the use of very stable synthetic base stocks which have a natural multigrade property, which means that large amounts of unstable polymeric thickeners, like those used in petroleum oils, are not required to manufacture our multigrades. 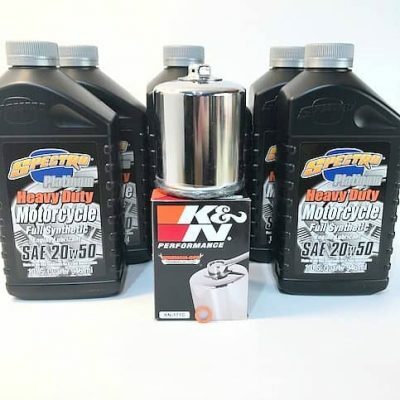 A motorcycle transmission will completely tear apart these polymeric thickeners which are used in petroleum oils and many synthetics, causing rapid loss of viscosity, which can result in inadequate lubrication. Red Line Motorcycle Oils are completely shear stable. 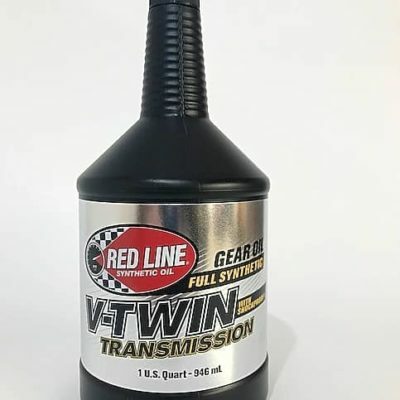 In addition, Red Line provides enhanced zinc and phosphorous antiwear additives for the best wear protection available, and friction reducers designed for perfect clutch compatibility. 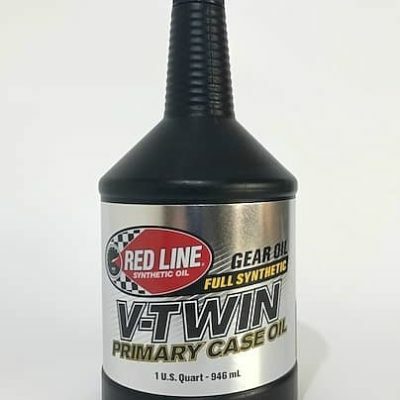 Visit the official RedLine oil website here.